September 1st, 2000. Nokia announced the (now infamous) 3310 model. It was released later on that year and more than 126 million models were sold worldwide between its launch and 2011. Not too bad when you think of the adoption rates of mobile phones in the early 2000s. 15 years on, social media is awash of people talking about the fond memories they had of their Nokia. It just shows how times have changed, and not necessarily for the better. Whilst we now moan about iPhones dying on us by lunchtime, the Nokia 3310 would go a week without needing to be plugged in. A truly mobile phone. My favourite part about this story? “[Nokia 3310] had many features that were rare at the time including a calculator, a reminder, four games and the ability to send text messages up to 459 characters.” Oh how times have changed. Nowadays, smartphones have taken away the struggle of pressing 7 four times to get an S or God forbid, you needed a symbol that wasn’t . , ? or ! Amazon Dash, the Wi-Fi connected buttons which Amazon Prime members can place around their homes (if you live in the US), press and get an instant order of household brands like Gatorade, Huggies or Bounty directly to the houses of Prime members with pretty much zero effort required. Just press, watch the green light come on and wait for your delivery tomorrow. Previously, these little buttons cost $4.99. Now, they have increased the number of brands involved (29 brands are involved including Orbit and Olay among others), as well as giving you a $4.99 credit off your first purchase using the Dash buttons, effectively making them free. I also think they look pretty cool. I don’t think I’d have them stuck where you’d have their products like Amazon think you would (i.e. 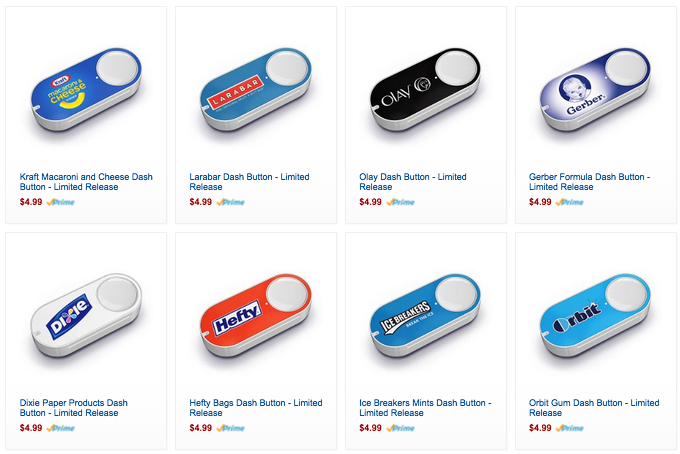 Bounty button in the bathroom, Gatorade on the fridge), but a dedicated “Dash button board” might look good and stop you from those annoying moments when you run out of essentials. The only thing we need now, is for it to launch in the UK. Everything is up for crowdfunding these days. Now, it’s a smartphone’s turn. 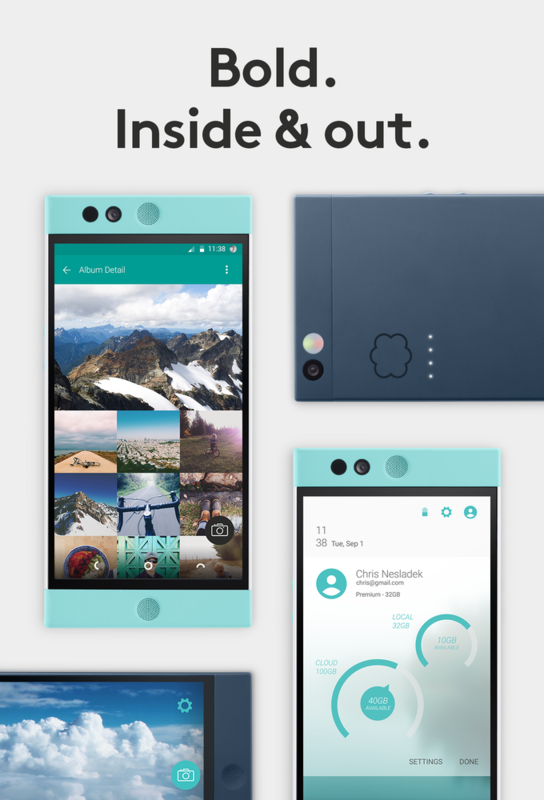 Nextbit, with ex-Google, HTC and Amazon employees, launched their Robin smartphone on Tuesday. It’s already way over-funded, and their goal was $500,000. The Nextbit is a ‘smarter smartphone’, giving you 32GB of internal storage with another 68GB of cloud storage which seamlessly moves your lesser-used apps, videos and photos to the cloud so as to conserve space. No hassle. It also packs flagship-quality specs for half the price of an iPhone. You’re looking at a phone with a 5.2 in 1080p screen, 13MP rear-facing camera, 5MP front-facing camera, NFC capability, and 3GB RAM for $349 at the moment (less than £250). It ships running Android Lollipop. Read the article here. Back the Kickstarter here. 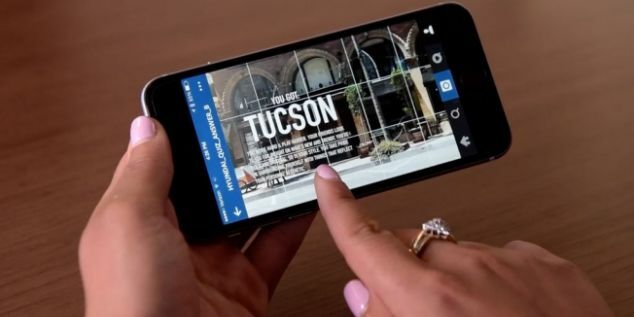 Clever use of the photo-sharing app to help consumers find their perfect SUV choice. You answer a few seemingly random questions, which lead you via the tag feature into another Instagram profile until they’ve got enough info about you to make a suggestion as to which Hyundai SUV is for you. I particularly like the idea of using Instagram in landscape mode, shown below. If you’re only using the account for one specific campaign, I think it’s a great way of creating a catalogue-style feel. Take the quiz at @Hyundai_Quiz_Start. Check out the video and read the article here. I think the rotating bezel is genius. A great nod to diving watches which have rotating bezels, but I can also imagine that it’s 10x easier to rotate a bezel (as it’s a natural thing for someone who’s had a watch like that to do) than to scroll through menus using the winder like on the Apple Watch. Good job Samsung. The watch on the right of the three in the video is seriously making me rethink my stance.